The inspiration for this week was, of course, this awesome chair that Ash found on etsy. We LOVE it! We know it’s expensive but. come. on. Someone has to buy it right? Make the chair the focal point and keep walls to one of the coordinating shades of gray found on the chair (or if you want some color choose an accent wall in the lime green – that’s what I would do of course!). We pulled the teal color from the chair to match the nursery and then added pops of the lime green here and there. Hang the cool teal pendant light over the chair, a little low to use as a book light. Carpet the floor with this cool felt ball rug. Use industrial furniture to give a more modern look. Use the vintage Steel Art filing cabinet as a converted changing table (so much storage!). Place the chevron diaper caddy on top with a changing pad in either lime green, teal, or light gray. Add awesome vintage teal school chairs to a little table for a drawing area. Place the teal filing drawer on a low book shelf made from steel plumbing pipe to store art supplies (and books). Make the crib up in eco-friendly teal bedding and gray sheets. Add a pop of color with this coordinating pillow with a circle print in teal and lime green. Over the bed hang a modern circle mobile in coordinating colors. For room decoration find neat vintage industrial finds like this cool hubcap clock and vintage 1950s teal radio. Also add some chevron themed toys – these little wooden boats are perfect! Finally, (what you didn’t think we could find more chevron items?) 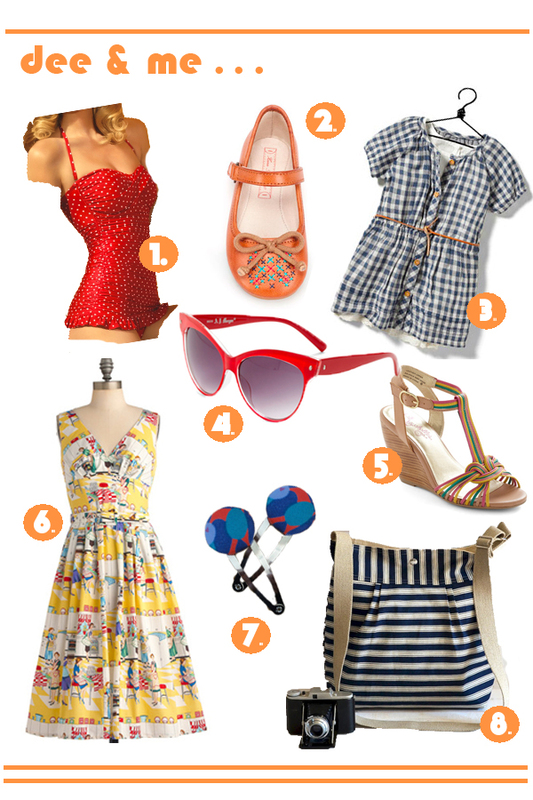 for you and the kiddos; get the awesome diaper bag, cute little chevron shoes, and pretty little chevron dress. OK – all chevroned out? I am a little. 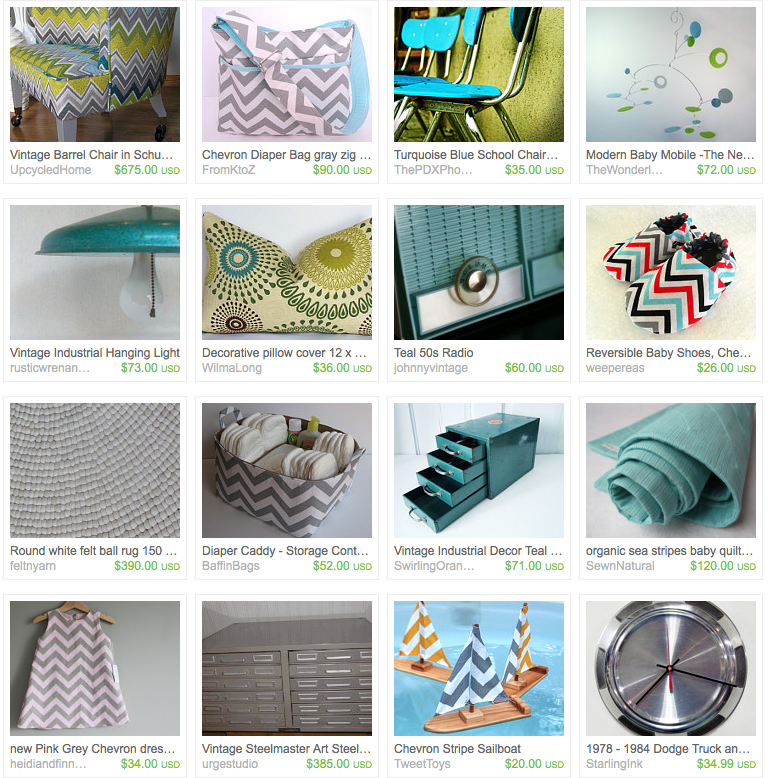 Check out our pinterest and favorites on etsy for even more chevron themed baby stuff!